Walter Isaacson is enamored of great men. As an author, he has published popular biographies of Benjamin Franklin, Albert Einstein, Henry Kissinger, and Steve Jobs (the latter sold 379,000 copies in its first week alone). As President of the elite Aspen Institute, he arranges for great and powerful men to network with other great and powerful men. As the managing editor of Time magazine and the CEO of CNN, he has reached for the heights of great man-dom himself. One of his books is simply called The Wise Men. He even edited a collection on what he calls “the Elusive Quality of Greatness.” This makes his latest study all the more surprising. Called The Innovators, it is anchored by a demure Victorian woman who was largely ignored during her short life and, for about 150 years thereafter, considered not really that great. A kind of group portrait of the digital revolution, the book begins and ends with Ada Lovelace. Isaacson is hardly the first to notice Ada Lovelace. That she occupies such a prominent place in his narrative is due to years of work by generations of scholars who have written articles and news stories, produced films and biographies, and founded an international Ada Lovelace Day. Isaacson does not shy away from her influence, and he connects her story to that of Grace Hopper, the Yale-educated mathematician who became one of the first and most important software developers. Like Lovelace, from whom she took inspiration, Hopper was overshadowed by her male collaborators. But she is slowly attracting more attention and now has her own annual conference. Together, these two privileged white women stand athwart the group of privileged white males who occupy the majority of Isaacson’s book. The attention paid to Lovelace and Hopper is laudable. Still, they seem like simply another addition to the laundry list of great men. As Roy Rosenzweig pointed out long ago, the history of the digital age is just as much about the military-industrial complex and the Cold War and economic globalization as it is about eccentric geniuses toiling in obscurity. Focusing on the great men (or great women or great queer folk) can render invisible all of the not-so-great labor that birthed and midwifed the digital revolution. Much of this work was done by women. Women literally were the first computers. So this begs the question: what would a feminist history of computing look like? To me, it looks like a severed hand. All of us who use Google Books on a regular basis have seen them at some point, floating, disembodied, anonymous, usually feminine or non-white. People have been blogging about the hands for years. A Google worker famously lost his job after trying to film the bodies attached to them. The hands are printed in art books and compiled on Tumblr. 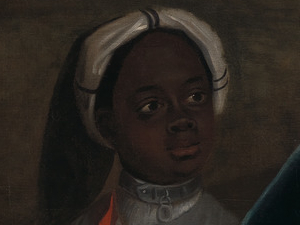 Many of them evoke themes of race and class. Or, as the New Yorker put it, “a brown hand resting on a page of a beautiful old book.” The perceived disparity between the brown and the beautiful speaks volumes. Sometimes the hands communicate subtle messages. Consider the bejeweled hand pointing to a chapter in a biography of Napoleon. 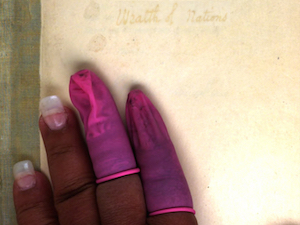 Or get lost in the psychedelic mystery that is A Serious Call to the Christian World, authored by “Jews.” One of my personal favorites is a small appendage with long nails and neon purple finger-condoms grasping the title page of Adam Smith’s Wealth of Nations. Who says there is no poetry in the everyday? In an instant, “the invisible hand” of the market is laid bare. These glitches are the material traces of the workers who actually power the digital revolution. The severed hand is the embodiment of a history. 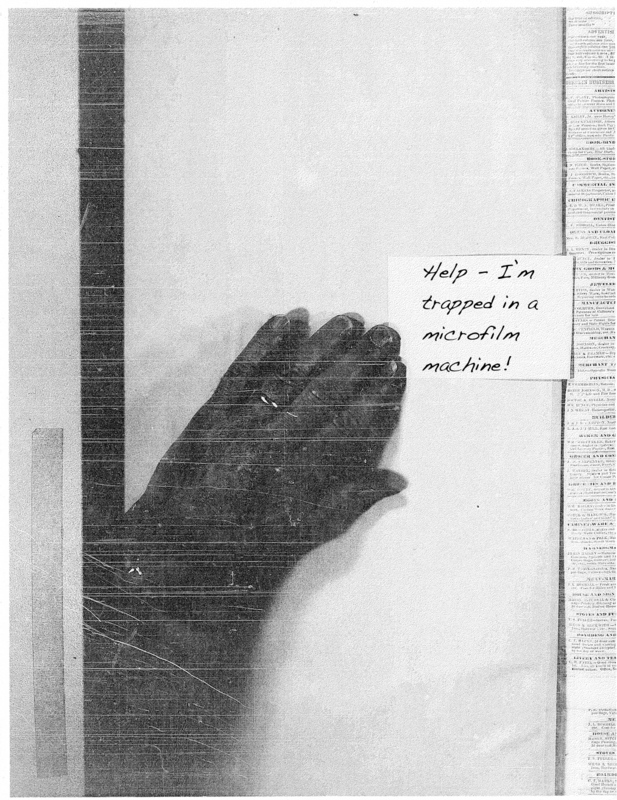 Rooting through some early microfilm, I came across more hands. 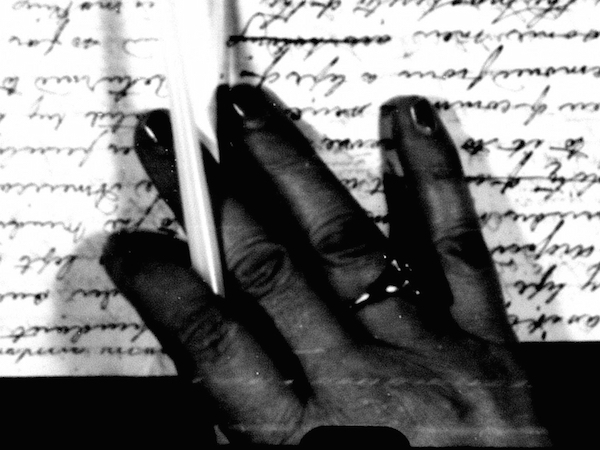 Black-and-white, grainy, but unmistakably female, complete with wedding rings and painted nails. 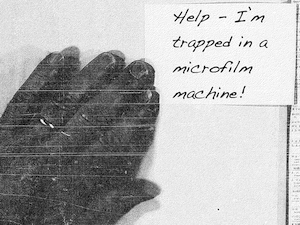 Looking at another microfilm reel from the early 1940s, I saw yet more hands, also ringed, also female, and I realized that this had been going on for a long time. Like the women who programmed the first computers, their work was both invisible and glaring, ordinary and extraordinary. The same technology that was attempting to erase this manual labor was making it ever more visible. Here was an army of Ada Lovelaces, working in secret, processing material, cataloging, inventing, filming, scanning, and providing the essential groundwork and infrastructure for all that showy greatness. Although perhaps not of the Isaacsonian ilk, they quietly demand our attention. One of the nice things about the meta-discipline of the digital humanities is that it’s also an international movement. As Carol pointed out in her post on the global digital divide, this is not an easy feat to accomplish. The asymmetrical shape of economic development over the past several centuries has influenced the technological backbone that connects different parts of the world. As a result, digital humanities work tends to mirror the starkly divided, core-periphery dynamic of contemporary globalization. Marginalized regions remain bit players, while the wealthiest countries retain their gravitational pull as the center of life for the academic elite. At the same time, though, I have noticed a sharp increase in the global consciousness and outreach among the digerati. Recent and forthcoming conferences in Australia, England, Canada, Germany, and Switzerland offer proof that the digital humanities need not be conducted along narrow nationalist lines. And the historic HASTAC conference held this year in Lima, Peru, proves that this work does not have to be exclusively Anglo or Eurocentric, either. Around DH in 80 Days, which maps a select number of projects globally, is one of the best introductions to this emerging field. The translatability of the digital humanities, its broad and easy appeal across conventional boundaries of ethnicity, class, culture, and nation, is one of its most amazing features. At its most basic level, it functions as a kind of universal language, like HTML or mathematics or heavy metal music. Little kids can do it. Your grandmother can do it. Able-bodied people can do it. Disabled people can do it. Privileged people can do it. Oppressed and marginalized people can do it. Even birds and bees do it. 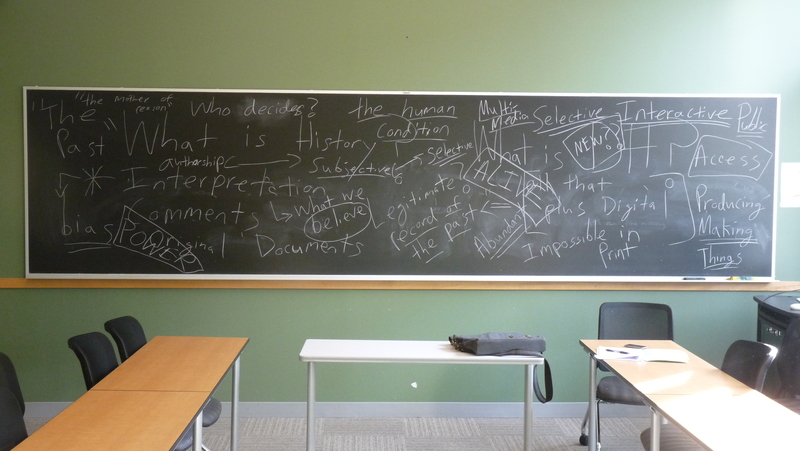 Although there is still a long way to go, I think the digital humanities hold the potential to accomplish that magnificent thing to which the traditional humanities have always aspired, but rarely achieved – a truly comprehensive and inclusive representation of humanity. As one small contribution to this project, I will offer a completely shameless plug for a one-day conference at Paris Diderot University (Paris 7) in October. Focused on recent digital history projects, the event will bring together practitioners and researchers from the United States and France (and maybe elsewhere) to initiate a dialog. I will present on some of my experiences connecting research and teaching, with a special focus on my experimental digital history course and RunawayCT.org. Constance Schulz, Professor Emerita at the University of South Carolina, will present on her NEH-funded scholarly editing project about two remarkable early American women. Additional details, including a map and schedule, are available here. I think it will be a wonderful opportunity to grow digital history work internationally, and if you happen to be in the area, I hope you will attend.